1997 : Inspired by Holistic medicine and medical aromatherapy, I started studying natural remedies. 2002 : I met with David Stirling, the founder of doterra, and Dr David Hill in the United States. 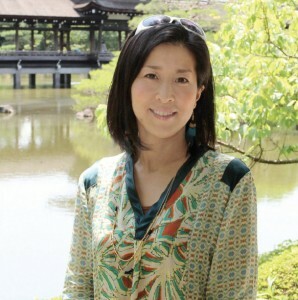 Since then I started to learn medical aromatherapy and started activities in Japan. 2008 : In October, while studying abroad in the United States, I again met with Mr. Stirling and Dr. Hill. Impressed by doterra's concept, I made up my mind to study medical aromatherapy again. I began to share aromatherapy’s quality internationally. "In doterra, there exists the ideal healing and integrative medicine that I have been searching for." This strong belief and passion pushed me to bring doterra company into bodywork, yoga, Energy Medicine, raw food, magazines, and in the medical field. In the spring of 2010, when the aroma touch Technique training was held in Japan, I served as Dr. Hill’s interpreter. I have been faithfully sharing the concepts of the aroma touch Technique of Dr. Hill and the warm culture of doterra. Riyo is a well- experienced and charismatic not only in Japan, but also in the United States, Hawaii and Asia. Having pride in doterra company’s mission and spirit, she has a strong desire to better people’s health, mind and spirit. Her warm personality makes it possible to connect people with doterra naturally, which we believe will lead us to global healing.